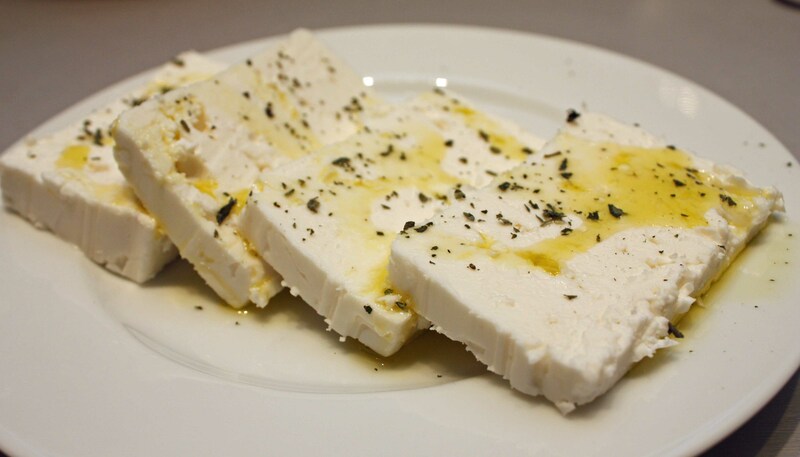 Feta is a white cheese and is the most consumed cheese in Greece. It’s also the most widely exported Greek cheese. And feta cheese is exclusively Greek. In 2005, after sixteen years of hot debate, the European Union’s highest court decreed that “feta” is protected as a traditional Greek product, and that none of the other EU member nations can use the name. 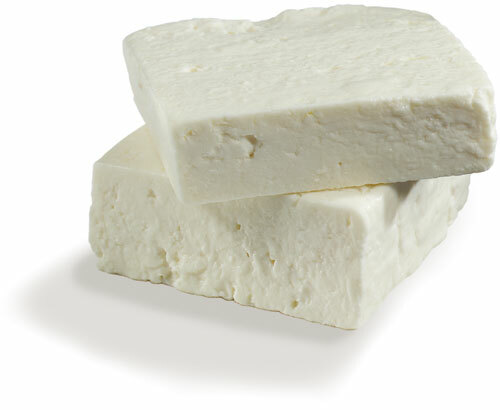 Feta does not have a rind or outer hard layer and is usually pressed into square or rectagular blocks. It dries out and sours quickly when removed from its brine; for that reason, blocks of packaged feta cheese are covered with brine, and should be stored, refrigerated, in the brine until used. Feta is available in most supermarkets as a solid block packed in brine, or crumbled. Feta is used as an appetizer, side dish, and as an ingredient in salads, filled pies, and pastries. Its use in preparing and serving Greek food is almost as imperative as the use of olive oil. 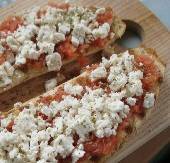 Feta may be used in most recipes that call for cheese: vegetable and fruit salads, filled pies, as a topping for or ingredient in cooked rice and tomato-based pastas, as a filling for omelets, in sandwiches, and elsewhere. Start with a baked potato, cut it open, sprinkle with pepper and oregano, drizzle with olive oil, and then add a crumbled feta topping. Eat feta as an accompaniment to watermelon. It’s delicious! Feta is not a “melting” cheese. It is widely used in cooked dishes and, while it softens, it retains much of its original shape – a delightful quality when you want taste as well as texture in dishes such asBaked Eggplant with Feta and Spinach, Bean & Feta Casserole. Telemes (teh-leh-MESS), similar to feta, but made from cow’s milk. 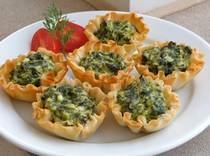 Small curd cottage cheese (well drained) for baking only, in dishes with other ingredients, like spinach pie. If used, salt should be added to the recipe. Feta has been a favorite cheese in Greece for many centuries. Homer’s “Odyssey” contains several references to cheese which may have been feta cheese. In Greek mythology, the Cyclops Polyphemus was perhaps the first feta cheese manufacturer: carrying the milk that he collected from his sheep in animal-skin bags, he discovered that, days later, the milk had become a solid, savory, and preservable mass – the first feta cheese? Another tale from Greek mythology credits Aristaeus, son of Apollo and Cyrene, with its discovery. On your next visit to the grocery store, make sure to bring home the feta!